The practice of geriatric medicine is characterized by an inter-professional approach. During my career I’ve been fortunate to practice in settings with comprehensive team-based care. Most recently, for the past three years, I have been working in the University of North Carolina – Chapel Hill’s Health System. I care for older adults in two out-patient offices affiliated with the Departments of Family Medicine and Internal Medicine, Geriatrics Division. Primary care is the primary mission of both practices. These busy, high-quality teaching practices are supported by an array of clinical team members including, physicians, clinical nurse specialists, nurses, pharmacists, physical therapists, nutritionists, social workers, and medical assistants. New to me has been the inclusion of mental health expertise integrated into these practices, including psychiatrists, psychologists, and skilled social work counselors. These mental health professionals work in my office and are available for informal or formal consultation. Primary care settings are the most common pathway to the behavioral health system, and primary care providers need support and resources to screen and treat individuals with behavioral and general healthcare needs. My current experience reinforces my belief that integrated care, the systematic coordination of general and behavioral healthcare, may be the best solution for these twin care needs. For example, Mr. R is a 78-year-old man in my practice who has Lewy Body Dementia (LBD). LBD is associated with significant behavioral symptoms including psychosis. These patients are also very sensitive to psychotropic medications and frequently have adverse reactions to them. Mr. R is cared for in his home by his wife who is increasing overwhelmed by her caregiving responsibilities. In my care for this patient, I have regularly conferred with the psychiatrist in my practice for advice on managing behaviors and have asked the social worker to assist me in providing support for Mr. R’s wife/caregiver. This on-site team-based model reduces communications problems between clinical providers and reduces stress on Mrs. S who is responsible for organizing Mr. R’s care. This additional expertise has improved the overall quality of care for this patient and it has all been possible without referral to outside resources. Coordinating primary care and mental health care in this way can help address the physical health problems of people with serious mental illnesses. Why Is It Important? Addressing the whole person and his or her physical and behavioral health is essential for positive health outcomes and cost-effective care. Many people may not have ready access to mental health care providers, or even if they do, may still prefer to visit their primary health care provider. While most primary care providers can treat straightforward mental disorders, particularly through medication, that may not be enough for some patients, or their cases may be unusual or complex. For these reasons, it historically has been difficult for a primary care provider to offer effective, high-quality mental health care when working alone. Combining mental health provider services and expertise in a team-setting with primary care can reduce costs, increase the quality of care, and, ultimately, improve lives. Dr.Gregg Warshaw, an academic family physician/geriatrician, is a clinical professor in the Departments of Family Medicine and Internal Medicine, Geriatrics Division, School of Medicine, at the University of North Carolina-Chapel Hill. Dr. Warshaw is a Senior Advisor to the Center for Consumer Engagement in Health Innovation. 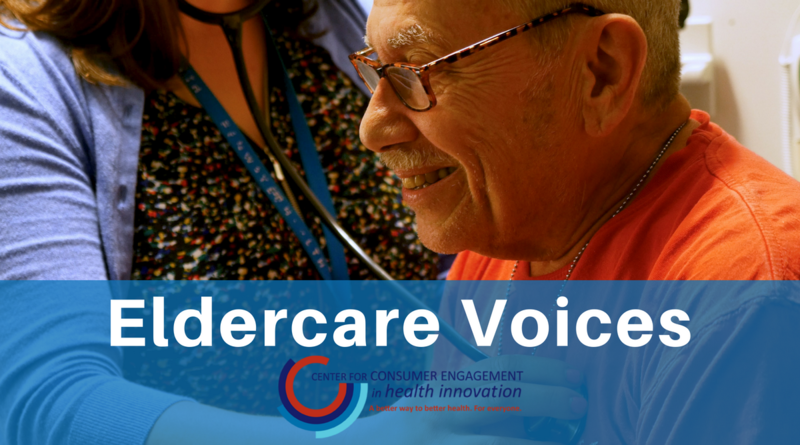 This post by Dr. Warshaw first appeared in the blog of Eldercare Workforce Alliance on October 31, 2018.